Glenn Stok is skilled at evaluating products and researching their technology. He also has a knack for clearly explaining their features. 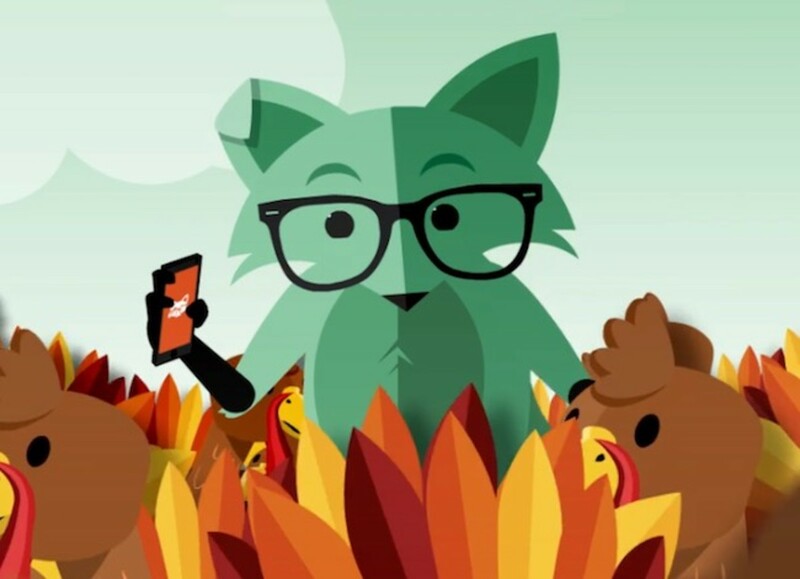 This article is updated as of April 2018 to reflect a newer version of the phone I'm using. I've updated the information as necessary. The base supports up to four handsets. Programming any handset syncs with all the others. You can block unwanted callers. You can see caller name and number, even while talking to someone else. One-button access to remote voicemail. Caller-ID without name will show the name if matched in the directory. Directory holds 50 entries and each can be placed in any of nine groups. If you don’t have voice mail with your phone service, you can get the version of this phone with a built-in answering machine. The answering machine does a perfect job at taking messages. You can record your own greeting or leave the phones default generic greeting. If you have voicemail, I suggest you take advantage of it and save money by buying the version of this phone without an answering machine built in. I use the one with no answering machine since I use voicemail from my phone service provider. This Panasonic phone makes installation so simple without the need to run wires. Just plug the base in where you have access to the main phone line. All the other handsets have a remote charger base. These can be placed anywhere you have an electric outlet. The beauty of Panasonic’s design is that all the handsets work off the central programming stored in the base. This is the right way for a cordless phone system to work. I have had other brands of cordless phones in the past and I always had to program each handset individually. That was a chore, and it’s not necessary with the Panasonic. Older phones use the same frequency that Internet WiFi routers use. Any phone using the 2.4 Ghz range will cause Internet interference since WiFi is at 2.4 Ghz. The Panasonic is a DECT 6.0 phone. That means it uses a higher frequency. So it works well in today's environment without interfering with WiFi. The digital signal at that higher frequency also has a better range with less power requirement, so it lengthens the battery life between charges. Panasonic has an Economy Mode that automatically reduces transmit power requirements between the handset and the base station when it's close enough. This helps extend phone battery life. "ECO" will display on the screen as shown in the close-up image earlier above. Some people are concerned about getting too much radiation from cell phones and cordless phones. The side affects, is any, have never been determined. Nevertheless, home-based cordless phones are definitely safe because they are very low power. And the ECO mode of the Panasonic phones reduces the radiation even further. Cell phones use a much higher power to access cell sites up to two miles away. Cordless phones for the home are designed for usage within 500 feet. The Panasonic is even better because the ECO feature lowers the output when it’s near the base. Now here’s a feature I really love! When I had other phones from other manufacturers, I had to program each handset individually. I discovered that Panasonic keeps all the programming in the base. That means that if you use more than one handset with your base, anything you program on one handset is automatically available on all the others. I used to hate having to program my friend's numbers into each handset. Now with this phone I only do it once. And any changes I make are also on all the other handsets. I’ll never go back to another phone. Call another handset on same base. Low energy enabled to extend battery life when close to base. ECO icon displays. The “Mute” soft button can be pressed so other party can’t hear you. Select from a large list of ring tones. Disable ringer on any handset so not to be disturbed. The keys and display light up so you can use it in the dark. The first time you use it, the phone batteries are partially charged. Just make sure you hang it up the first night so it charges fully. However, you can start playing with it right away. Add your friends, add your voicemail number and pin, and any personal settings you want. You don’t need to set the time and date. As soon as the first call comes in it takes that information from the carrier. Most providers send the time and date along with the ring signal. You also don't need to be concerned about setting the time when the clocks get set back in the fall and forward in the spring. The phone’s clock will be adjusted when the next call comes in. So this is one clock you never need to bother with. Just in case your service provider does not pass the time stamp, you can always program the date and time through the settings menu. There are three buttons below the screen that change their functions depending on what features are needed at different times. These three buttons as soft keys. That is, they can change their function. The screen above the buttons shows what they do at any specific time. For example, the VM button becomes a MUTE button while you are talking. When you have a message the top right button is the VM button. It says VM right above it. But you only see that if you have messages. It becomes a redial button if VM is not needed as shown in this image. Note that all the soft buttons always have the function displayed on the screen. 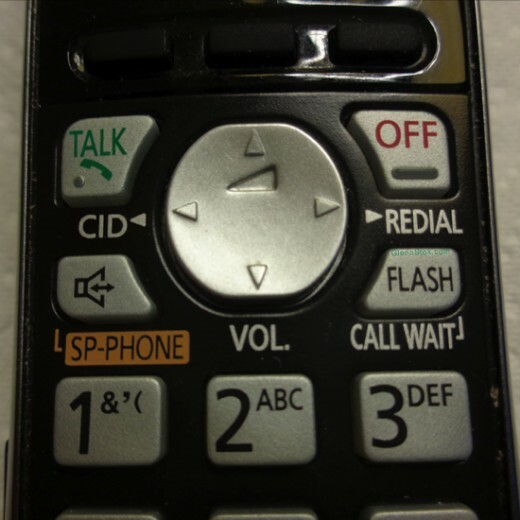 The image here shows the three soft buttons in this present state when the phone is not engaged in a conversation. The left icon means that soft button will display the name directory. The middle on gives you the menu of options. The right soft button is for redial. The soft button on the right side becomes a quick voicemail retrieval button and only shows “VM” above it when you actually have a message, as shown in this image. You can program the phone so that pressing the VM soft button will call your service provider’s voice mail and automatically pass your pin to log in and play your messages. You just need to program the calling sequence into the phone once.The dialing sequence is the access number followed by a few pause characters to wait for the call to go through. After the pauses, enter your voice mail pin. That's it. Then whenever you press the VM soft button, the phone does all that for you. I love using voice mail rather than an answering machine because many service providers include a free feature to send all messages to your email as an attached audio file. However, if you don't have voice mail with your service, Panasonic makes the same phone with an answering machine built into the base. There's a little amber light on top of the handset. It blinks when you have messages. It glows solid when charging. If using a service provider’s voice mail, the phone will detect a signal from the phone company and show you that you have messages. This is with the flashing indicator light and also with the words “Voice Mail” displayed on the LCD screen. On some newer versions of the phone these indicators will only work if you had programmed the VM soft button as I explained above. Each handset is a speakerphone. If you just press the “TALK” button to answer a call, you use it as a regular phone against your ear. If you press the “SP-PHONE” button, then the other party’s voice comes through the speaker, which is on the back of the handset. I find this to work really well. Many times I work in the kitchen while cooking and I place the phone down on the counter to carry on a conversation. One thing you have to deal with, and it’s true for most speakerphones, is that the audio is single duplex. That means that while the other person is talking, they don’t hear you if you talk. This is done on purpose to avoid annoying feedback. I’ve gotten used to this, but if you don’t like it then just don’t use the speakerphone setting and hold the phone to your ear instead. Once you have your contacts in your phone's directory, just press the left soft button where the phone book icon is displayed. This starts the Phone Book List. You can press the up or down arrows to scroll through the names you had programmed into the phone. You can save up to 50 contacts and even assign them to any of nine groups. When you browse your directory, you can select the group you want to browse or select "all groups". Of course, the advantage of the directory is that you never need to dial numbers. Just scroll to the name — press “talk” — and it dials for you. Usually when someone calls from a cell phone, the carrier only send the words “Cell Phone” for the Caller-ID along with the number. Some out of town callers will not show the name either, just the number. If you don’t recognize the number, you’re out of luck unless you want to take a chance answering an unknown caller. Here’s something wonderful about this phone: If the incoming Caller-ID does not contain the name, the phone will display the name from your directory if the number is matched. All the more reason to place all your friend's numbers in the directory. I get telemarketers calling once in a while. Some call repeatedly from the same number. The Panasonic phone lets you add these numbers to a block list. When they call, the phone plays a recording to them saying that the call cannot go through. You never get bothered anymore. When on a call and another caller is calling, the Caller-ID of that new caller will be displayed. You can look at the screen to see who it is while you’re on an existing call. If you decide to take that call, just press the flash key. This feature requires “Call Waiting” as well as “Call Waiting Caller-ID” service from your phone company. You can call from one handset to another without making an outside call. Just press the "Menu" soft button and then you will see INT as the left soft button as shown in the image below. That stands for intercom. Just press the INT button and you will see a list of the extensions available. These are all the other handsets assigned to the base. Scroll down to the headset you want to call. If you only have two handsets, then you will only see the other one listed. Click the SELECT soft button and the other handset will start ringing. That big button with up, down, left and right arrows has several functions, depending on which arrow you press. The left is the Caller-ID (CID) of your prior received calls. The up and down control volume when you’re talking. The up and down arrows scroll through the names in your directory after pressing the name directory button (left soft button). A single button will automatically dial your remote voicemail service and pass along the pin to log in. It does all after you program it once. Press MENU (soft key) then press down arrow till you get to Initial Settings. Then select that and scroll down to "VoiceMail. Then store your voicemail access. This may be your own number or a special number provided for voicemail access. Follow it with two or three pauses. You’ll see the pause as a special character when in this programming mode. Then follow the last pause with the pin. Try two pauses first. If it needs more time before sending the pin code, then add another pause. The Panasonic Cordless Phone System that I bought, and discussed in this article, has been upgraded to this newer version. The features are still the same but now can be expanded with up to six handsets. If your phone provider includes Voice Mail service then you can use this lower cost system with no answering machine. No need to duplicate message taking options. A system with the answering machine in the base as shown below is also available at a slightly higher price. This one includes an answering machine built into the base. If you only need one handset, that's available too. You get what you need at the price point that works for you. This is an upgrade to the one I am using and had discussed in this article. Mine is no longer available. However, the features are still the same, except they added the ability to expand up to six handsets. 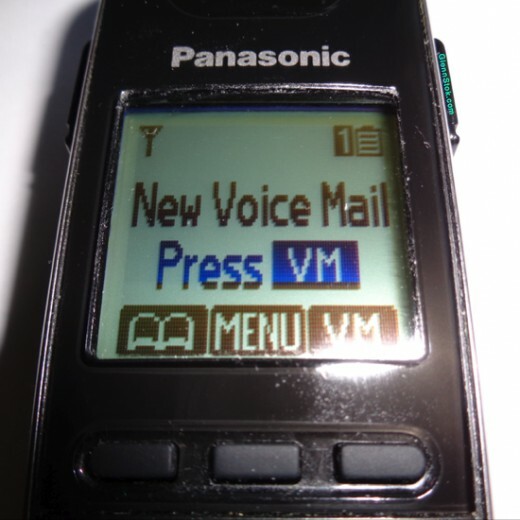 Remember what I said in this article: If you have voice mail service from your carrier, then you can save money with the Panasonic phone shown above without the built-in answering machine. 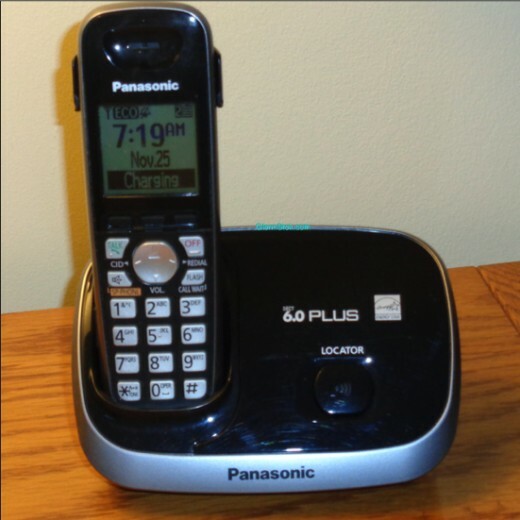 Can I answer a call on a Panasonic cordless phone by just picking up the phone from the cradle, and not have to push a button? Yes. You can enable that feature by setting "AutoTalk" in the settings menu to the "on" position. Then when you pick up a ringing phone from the base or charger cradle, it will automatically answer the call. If AutoTalk is off (the default), then you need to press the "TALK" button or the speaker button to answer a call. How can I type the plus sign (+) on the phone's keypad? All special characters such as & ' , . ( ) * - and / are on the “1” key, and can be accessed by repeatedly pressing that key, but there is no + sign. Special characters can be used in the name field when adding contacts to the phone's directory. What is the Panasonic cordless phone's battery life after charging? The talk time you get on a single charge all depends on the type of rechargeable batteries used. I already replaced my batteries in my Panasonic handsets after several years of use. The original batteries gave about 1000 charge/discharge cycles before I needed to replace them. That means you should get up to five years before needing to replace the batteries. I am now using two AAA 1.2-volt nickel metal hydride (NiMH) rechargeable batteries rated at 800 mAh each in my Panasonic phone handsets. NiMH give more talk time than NiCad batteries, but may have a slightly shorter lifespan. I can easily talk for three hours on a single charge. I have also left the phone off the charger for several days without using it. The standby time is several days if left off the charger. It’s important to understand that battery efficiency is dependent on the temperature of the room. It’s best within a range of 50°F to 86°F (10°C to 30°C). In addition, if your phone is left in temperatures above 104°F (40°C), the charging process can be affected, and the batteries can deteriorate and damage the phone. Does the Panasonic cordless phone prevent batteries from overcharging? Yes, it’s an important feature built into any cordless phone since it’s usually placed back in the charging cradle when not in use. In order to avoid damaging the rechargeable batteries, the unit detects when they are fully charged and stops the trickle charge. The phone I use, that I mentioned in my article, also displays “Fully Charged” on the screen. 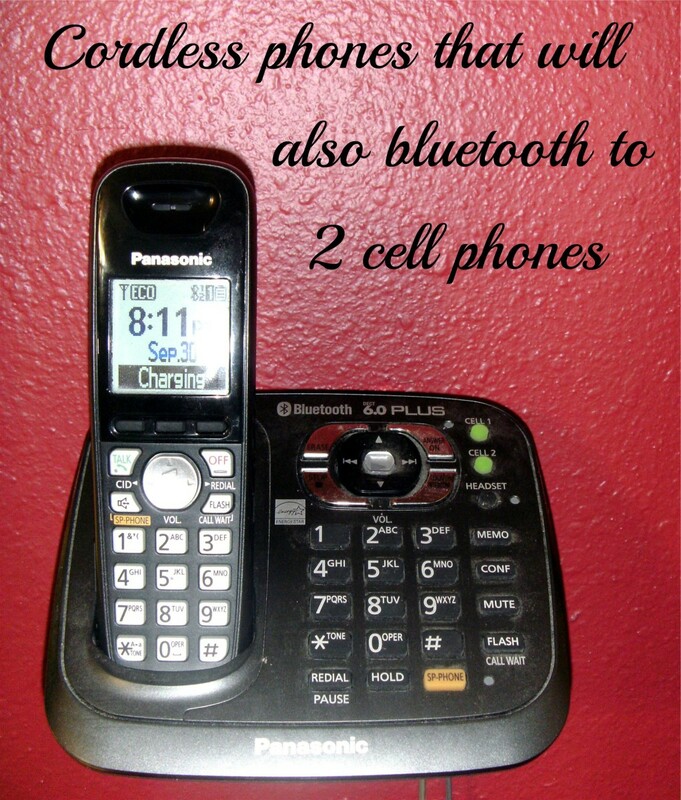 Why doesn’t my number display for the Caller ID when I make an outgoing call from my Panasonic cordless phone? It's showing up as “private”. There are two reasons why your number is not displayed to the receiving party. Note that this has nothing to do with the phone itself. 1. Some phone service providers do not have that feature. Some cellular services do not have it. 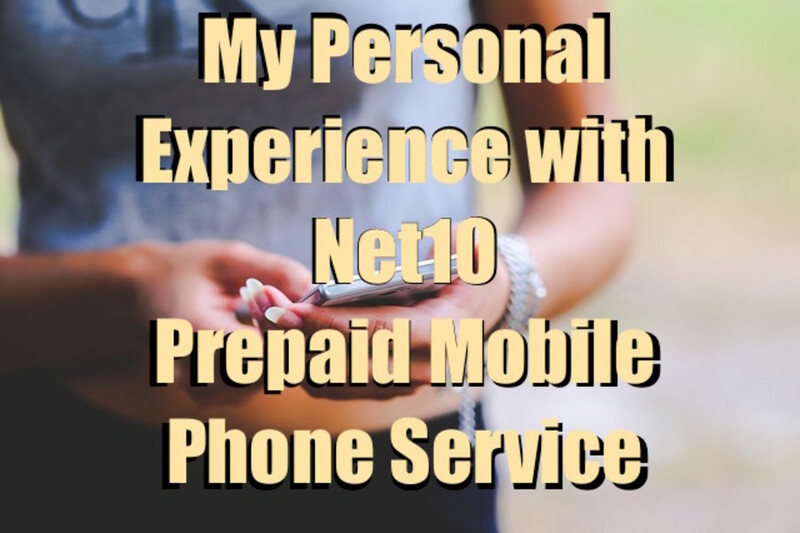 You need to check with your service provider to find out if they offer that feature. Check with your service provider for a list of control codes. They most likely have those codes on their website. Does the blocked caller hear a spoken message? If so, what is said? I have a Panasonic phone system. 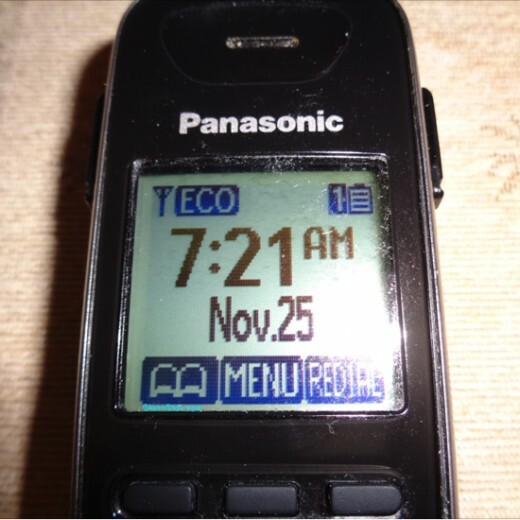 The call blocking feature on the Panasonic phone sends a busy tone on the caller's end, and then disconnects the call from the line. I noticed that it still rings the phone one quick ring, but then stops. I guess that’s useful just to notify you that a blocked call attempt had happened. Keep in mind that you require Caller ID subscription from the phone company for the call blocking feature to work. How do I make capital letters for the beginning of the names I’m entering into the phone's directory? When entering the letters of a name, you can switch between upper case and lower case letters by pressing the * key. You'll notice that the * key includes "A–>a" to indicate that it is used to change capital letters to lowercase and vice-versa. Can the Panasonic phone always stay on the base charging unit even after it is fully charged? Yes, there is no problem with that because the handset detects when the rechargeable batteries are fully charged. It will automatically stop charging to avoid damage to the batteries, and it also displays "Fully Charged" on the screen. If my Panasonic phone is ringing, can I mute it? You can set the ringer off on any handset. The other handsets will still ring unless you shut off the ringer on all of them. One of my Panasonic cordless phone units is saying "Charge for 7 Hours," and that unit doesn't work. What does that mean? The Panasonic cordless handsets use rechargeable batteries. If you don't place the handset in the charging cradle after talking a long time, the battery will eventually run down. If you let it get very low, you will see that message on the screen. It means you need to charge it for seven hours to bring it back to full charge. Normally, if you only talk for short periods, say up to an hour, you can get away with not charging between each phone call. But it's a good idea to at least place it on the cradle at night to give it a good full charge for the next day. In addition to the above, batteries do wear out after a few years and can't take a charge anymore. In this case, you need to replace the batteries. The Panasonic units use standard rechargeable batteries. When you open the battery compartment, you'll see the type that's in there. Buy the same type for replacement. I bought new phones yesterday, and they are all set up. I want to recycle my old ones (also Panasonic), but I want to erase my Contacts first. The old phones now display the message "Base No Power," and I can’t access the Contacts. Is it safe to recycle without my Contacts being accessible to others? Is your base plugged in? Or did you clear the data from the handsets that allow them to access your base unit? Those are the only reasons why you would see that error message. You need to access your base from any of the handsets to delete the contacts from the list. If you sell or give your phone system to someone else, they will have access to your contacts (names and phone numbers). 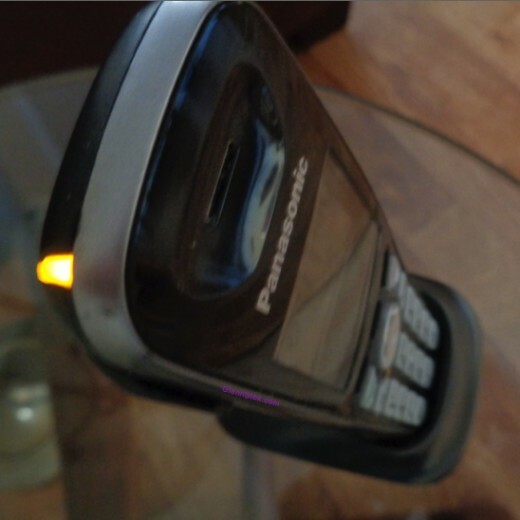 Can the ringer function on the Panasonic cordless handsets be silenced during the night for all phones connected to the base phone? You can only turn off the ringer individually on each unit. There is no way to do it in one step for all handsets. I prefer to leave the ringer turned off with the handset next to my bed. I’ll hear the other one ringing in the living room anyway — that will wake me up if there is an emergency caller. At least it won’t suddenly jog me out of a deep sleep like it would if it were right next to me. How can I hear the newest messages first when I have several messages stored on my Panasonic cordless phone? Most answering machines just play messages in the order received. That is true for the answering system in the Panasonic phones too. There is a solution if you are using voicemail from your phone service provider. Most voice mail services include the ability to forward each message to your email as an attached WAV (audio) file. If you use that, then you can select any message to play in any order you prefer. Those emails usually have the phone number of the calling party in the subject line for easy identification. Do I need Internet service to use a Panasonic cordless phone? No, the Panasonic phone I discuss in my article is a regular phone for POTS (Plain Old Telephone Service) lines. 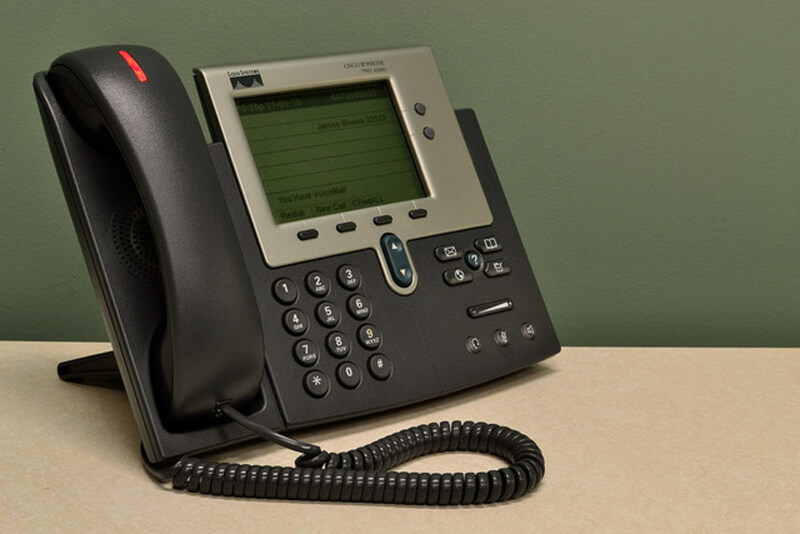 If you want phone service that works over the Internet (IP), then you need to look at VoIP services. 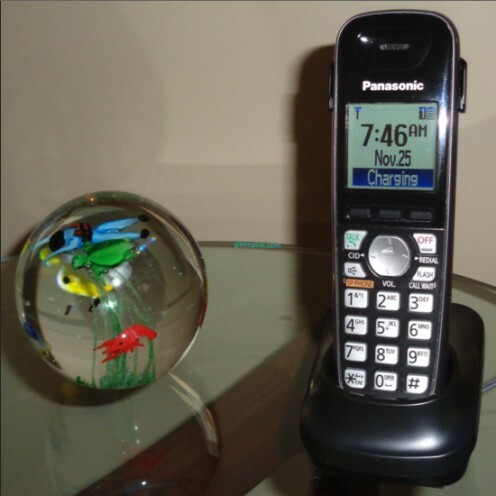 The Panasonic phone works well with VoIP service. I’m using it that way. In this case, your Internet modem provides a regular POTS line so that any standard phone can be used. How can I have my privacy while talking on a cordless phone without another phone listening? In the old days when cordless phones used analog radio signals between the base and the handsets, those signals could be picked up by another device. However, today’s technology uses DECT (Digital Enhanced Cordless Telecommunications). There are various versions of DECT for different countries that use alternate frequencies so as not interfere with other existing wireless (such as cellular, Bluetooth, Wi-Fi, baby monitors, etc.) in the respective countries. DECT operates over ten different frequency channels in the 1880–1900 MHz band. Every call originated by any handset will automatically choose one of these channels, that is available, to communicate with the base unit. Since the audio is converted to digital signals to communicate with the base, it is also transmitted in packets of data. This allows for multiple conversations to be shared within each of the ten channels by breaking it up into time slices. DECT provides 24 timeslots per 10 ms frame, and each frame can be carried over any of 12 duplex channels—allowing a total of 120 conversations. The data is coded so that each base unit knows which data packets belong to its own transmissions. Therefore the chance of being able to piece together the conversation of another is highly unlikely. In addition, handsets will only create a connection with its own assigned base by using a preset security code that must match. The technology, therefore, avoids a nearby user with a similar device from inadvertently eavesdropping on someone else’s phone conversation. When someone calls me, the Caller ID on my phone only shows a number 1 through 9 instead of the name or phone number. How do I fix this? All phones that display Caller ID simply show the data received after the first ring. That is, the Caller ID information passes to the phone between the first and second ring. The only exception is if you programmed a different name for the number in your phone’s directory. With that said, there are several thoughts that might explain what’s happening. Either the data is being truncated due to some problem prior to reaching your phone, or your service provider is just sending one digit (although I never heard of that happening). Another reason for this... If you have your phone behind your own PBX (a personal phone system), then that might be responsible for sending just one digit to your phone. If you suspect your phone carrier, call them and explain the problem. If you have a PBX, contact the installer to find out if they can make a programming change to fix the problem. One more reason I can think of... If you programmed your name directory and for some reason you placed single digits 1 through 9 in the name field for each contact, the phone would be replacing the incoming Caller ID with that. The phone does indeed replace the Caller ID with the name you entered for the number. That’s is a feature of the phone. So if you used digits instead of names, that would definitely explain your problem. 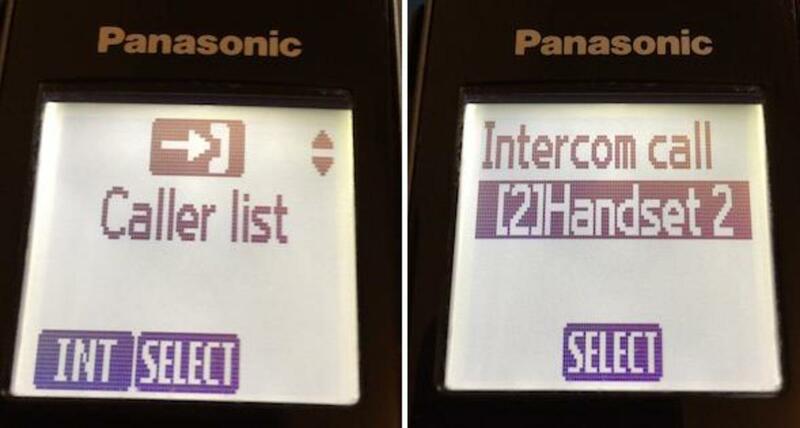 How do I backspace when entering contacts into the phone's directory on a Panasonic cordless handset? Press the "clear" soft-key to backspace and remove the last character. If you just want to move back over entered characters without deleting them, use the left arrow key. This is also known as the left and right cursor keys on the larger button. My voicemail randomly starts playing when I'm on a call. How do I stop that from happening? It’s impossible to play voicemail from your phone company voicemail service while talking on the phone because it needs to call the service. That can't be done unless you press the flash button to put the present caller on hold and then make another call. With that said, it could be possible that you might be pushing the phone into your face while talking and your cheek is pressing the flash button and redial button (assuming the last call was to check for messages). You did say your issue was with voicemail, but the same thing could make the phone's answering machine start playing by pressing keys with your cheek. That might be even easier to do if you tend to press the phone into your face. The answering machine will not pick up if we are using the phone. I find this extremely frustrating! Does the Panasonic phone have the ability to answer calls if the phone is in use? No phone answering machine will be able to answer while you are on the line. That's impossible. You might be thinking of call waiting, which lets you see the caller ID of the second caller, and you can press flash to switch to the other caller. But an answering machine would not do that. And if it could, you'd lose the connection to the first caller. The only way to have a system that answers calls and takes messages while you are on the line is if you use the phone company's voicemail. This is a service that runs on their end, so it can handle calls without you losing the connection. The Panasonic phone I reviewed in my article will support phone company voicemail as I mentioned in the article. You will not need a phone with an answering machine if you decide to use their voicemail, since the voicemail will answer, play your greeting and take a message. If this is important to you, then talk to your service provider about getting their voicemail feature added to your service. Is there any way to set the default phonebook on the Panasonic handset to a specific group instead of All Groups? You can’t set a specific group as the default. The default when scrolling through the phonebook directory is All Groups. But before you browse through the directory, you can always select group 1 through 9 and then it will only show people that had been placed in that group. Why are all of the incoming calls on my Panasonic phone going straight to voicemail? If your phone is not ringing and all calls go to voicemail then you probably have your phone service set to "do not disturb" mode. With some services this is done by setting the ring count to zero so calls go direct to voicemail instead of ringing through. Voicemail is not a function of the phone. You need to log into your phone company's control panel and check your settings, or call you service provider for help and ask them to correct the setting for you. s b - The phone I reviewed in this article does not use Bluetooth. I don't recommend it either as it has limited distance. The crossed out bell icon indicates that you had shut off the ringer. You might have done this by either of two methods. The silent mode set by time of day, or by setting the ringer volume to “off”. To then it back on, you need to check both as follows. 2. Scroll down to the “initial setting” and select it. 5. Increase ringer volume to the level you want. two of my 3 panasonic phones do not ring anymore. There is an icon of a bell with a line drawn across it - how do I correct this problem? Lyle Cameron - The check mark means that’s it's a new call that you didn’t review yet. Hi Glenn, we have the KX-TGE633. What does the check mark in the upper left-hand corner of menu of callers? The instruction booklet seems to have all symbols except for this one? Thanks. Joni, This sounds like a problem with your service. Try testing with a different phone to see if you still have the problem. Borrow one from a friend if you don't have another phone to test with. Hi Glenn, i have had my cordless Panasonic phones for quite sometime. Just recently, i am unsble to receive incoming calls and when i try to dial out i get the dial tone, dial the number and then get a dial tone again. U have no idea how to resolve this issue. Elizabeth - You didn't say which phone you have. Maybe your phone doesn't have taught feature. I would suggest you do a Google search for the user guide of your phone (if you don't already have it) and look up the method of using the intercom, which simply is the method of calling from one handset to another. sue petrachek - You didn’t say if you are using voice mail or the unit's answering machine. From your description I assume you are using voicemail and that your phone carrier did not send the light off indicator. Try unplugging the phone from the phone line and plugging it back in to see if that clears it. Otherwise call your carrier for assistance. My handheld panasonic is blinking cause a call came thrubut they did not leave msg, but it is still blinking...How do we take it off???? Vinny Placanica - If you are asking for a recommendation for a unit with three handsets, the one I mentioned can be expanded as mentioned. Vinny Placanica - Your description of your problem doesn't sound right. This phone does not have a modem connection. Unless you mean you have phone service form your Internet company and you're referring to the phone (RJ-11) connection on your modem. In any case, it sounds like your base got damaged. Did it get struct by lightning? You probably have to buy a new unit. Dee Lind - Good question. And I understand what you mean. The answer is yes, but you need to change the two other handsets to communicate with the first base. In other words, you want to ‘marry’ all four handsets to a single base. The other base will simply not match to any handsets but will serve just fine as a charger. In order to accomplish this you will need to go through the menu to the setup options on those other two handsets. Then register those two handsets to the first base. Details can be founnd in the user guide when you get the phones. It’s easy to follow the steps. It’s interesting that additional handsets sold alone are more expensive than when included in a set with a base. That was good going that you determined that. Have a question... was looking at the KXTGC352B (no ans. machine) that has two handsets...but I need 4. Can I buy 2 sets of the same model (cheaper than two additional phones) and use the base of the second set just as a charger (not plugging into jack)? Will the phones match up to the single base? B - You didn’t mention what model phone you have. Maybe your version has only one setting for “Do not disturb” that disables both the ringer and the volume on the answering machine. Check your manual. I can't hear my greeting when a call comes in. I have all of the ringers set to off. I hear the caller message on the base unit. Is it "not possible" to set the ringers to off and be able to hear my greeting? Karen, As noted in the article, those phones are the upgraded version of the one I have. The original was discontinued. Thanks for your response. I see only 2 models at the end of your article, and in searching them, it seems neither is the one in the photo with the amber light, in the "Message Indicator Light and Display" section. Can you tell me which model that one is? Thanks so much. Karen - The models of the phones available are shown at the end of the article. Which panasonic phone has the message indicator light? I see you mentioned one - and showed a photo of the light - but I don't know which model it is. I got your answer about the message light not working, thanks. A friend just called and said the answer machine doesn't pick up anymore either. Maybe I need new phones? Sally Rehn - Each handset has rechargeable batteries, but if only the message light is not working and the phone does, then I suspect you have a problem with the light itself. Make sure you still have the service turned on with your carrier to enable the message light when messages are received. That is most likely the issue causing your problem. The light showing how many (if any) messages are on the phone doesn't work any more. Is there a battery somewhere that needs to be replaced--I couldn't find one in the answering maching? Dan - You might try different ringtones. Some of them have a delay and you might get it to miss the first (and only) ring. I signed up with verizon's nomorobo spam interception process. However, the phone still rings once. Is there a phone that will not ring until the second impulse is received? Michael Dalton - This is not a function of the phone. The status of the message light is controlled by your voice mail service. Most carriers usually do shut off the message light when you log into your voice mail, even if you don't delete the messages. Does the message light keep blinking until messages are deleted? One feature I hate about my current Panasonic phone is that the blinking light goes off after you've played the message. I would like the light to stay on messages are deleted. That way if I play messages that are for someone else, I don't have to remember to tell them. They will notice the light is still blinking and will play the message. Mitzi neyens - Maybe you have your ringer shut off. And yes, each handset unit has a rechargeable battery. If you didn’t place it in the charger cradle then it may be dead. Ringer on upstairs phone does not ring.....is there a battery in the hand held which I cannot get open? Yes Linda A, you can do that with the phone I discussed in this article. If you buy the version with multiple handsets, or add more handsets later, each handset will be on the same phone call. David Davies - Since you say you are blocking anonymous callers, that must be your problem. Many people have their privacy set to avoid sending their caller ID, and those callers will not be able to get through to you. This has nothing to do with the phone. It is a function of your phone service carrier. You need to turn off your blocking of anonymous callers. I have a Cordless Panasonic KX-TGC220AL,Base plus two extensions. I have various callers who cannot get through,the calls do not ring out on my phone,yet others canon,this is both home phones and mobiles.The internet provider has tested the line many times and cannot find a fault,Panasonic is no help.I have been asked to turn off the anonymous private caller setting, to see if that helps, but can't find how to do this ,also to try a different type of handset ?? ?any ideas. Igor, That is the same in any case with any phone. If the phone is off hook then it can't receive an incoming call. The locator is similar to sending a ring to a non-bust phone, except that it's a beeping-type sound instead of a ring. But the idea is the same, the receiver (handset in this case) needs to be available to receive the signal. Hi Glenn, I recently discovered that if you have a handset turned on and can't find it, locator button doesn't do much good. It just doesn't make that ringing sounds as when it's off. I would hear all other handsets ringing but not the one I need. It essentially locking you out of using your phone. I was able to find it by psychically searching everywhere only. Any advice? Thx! The Panasonic KX-TGC350 is not just a handset. It’s a complete system with a base station. It will only communicate with its own base. Not all handsets are compatible with all bases. The KX-TGDA50, that you mentioned that your mom has, is a handset. Its base is probably model KX-TGD532W. Look at the model number on base to confirm this. If you just want to add another handset for the kitchen, you don’t need another complete system. Just get another handset that’s compatible with the original base that your mom already has. That would be another KX-TGDA50 or KX-TGDA51. You may need to buy it refurbished (listed on Amazon) since this is an older model. Press the MENU button, then dial #130. Now press the locator button on the base and continue to hold it until you hear a tone. If the handsets ring, you didn’t hold it. Start over. You need to wait for the tone. Once you hear the tone, press OK on the handset. When you hear a completion tone on the handset, press the “Off” button to finish. My mom has a cordless phone model KX-TGDA50 or 51 an she bought a new phone for her kitchen which is model KX-TGC350 or 352. Her first phone now does not have a dial tone. She's tried to do the locator steps but nothing seems to work. Shouldn't these two models of Panasonic work together??? Triple L - The large center button is the volume control when you are connected to a caller. Press the top or bottom of that button to change the volume higher or lower, respectively. I can not figure out how to increase the volume of the caller on my Panasonic TGD560 model. My parents are having hearing issues and can never decipher what the person calling is saying. I would appreciate any help. Kay - That cell tower might be interfering. A surefire test would be to take your phone to friend's house in a different location and try it there. See if you have any improvement. Then you'll know. The Gigaset s79h that you mentioned has a rocker switch on the side of the phone to control volume. The Panasonic that I discuss has an up and down rocker button on the front. I’ve use this button to control the volume even when I’m talking on the phone. It works fine — no interruption with the conversation trying to find soft buttons in the menu as is the case with other brands. The volume button is always available right on the front. In addition, the volume to very loud when turned up too high. I’ve had cases where I had to reduce the volume because the person on the other end was talking too loud. So there is no problem with volume on the Panasonic, for sure. When using the speaker, the volume control works the same. I never have to put it near the top. But if I do, the fidelity is clear and not distorted. Interesting but ... what about the "volume" ? A good way to "measure" sound volume is to know if you ever used it at full volume at any time. Quite incredible that older phones worked better for that. The at&t phones are not compatible with Panasonic. Karen - when you browse through the directory, the erase option is on every entry. It’s a soft key on the screen. Jponte - You didn’t say which one you were looking at. They are discontinuing the message light on some phones. But the screen still says “New Voice Mail” when you have a message and you’re using the voice mail service from your phone company provider. Hi Glen. I am looking for a cordless phone with an indicator light for messages. When I looked up the specs for this model it does not list a message indicator light. Do you know any current models that have this feature? Steve C - If you are sure you have the base connected to AC power and you left the phone in the base for 8 hours to charge, then it must be the battery. Rechargeable batteries don't last forever. Replace them and you should be fine. We have a 5 year old panasonic KX-TG6511 system that started showing the message "No link. Re-connect base AC adaptor". All bases the same. We changed adaptor transformer without result. Any suggestions? 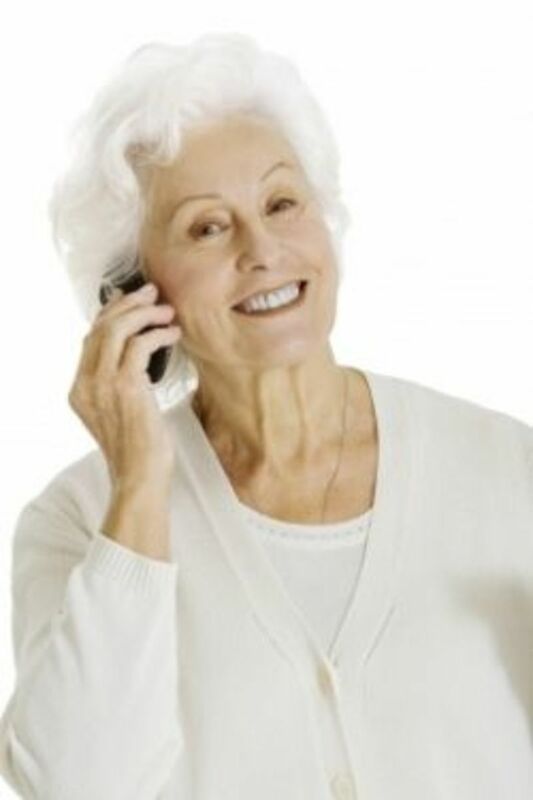 Linda - Your Caller-ID is not a function of the phone. Your phone company sends out this information. If the number doesn’t show up then you probably have it blocked. If only your name is not showing, then ask your phone company if they can include your name with your number. Alternatively, if your number is being sent, but not your name, tell your sister to add your number to her phone directory. If it’s a Panasonic phone like the one I discuss here then it will take the name from the directory to display along with the number from the Caller-ID. Carol, That sounds strange. I would have expected you to say that it gets worse when you are closer to your router. But you say it’s when you are farther away. Nevertheless, the router should not interfere since DECT technology uses a different frequency. However, I would experiment by shutting off the router to see if things improve. At least that way you can rule out if the router is causing the problem. The other thing is to check if the batteries are no longer holding a charge. Are the batteries old? Do you put the handset in the charger often enough so they are charged? Let me know your response to these ideas. Hi Glenn, I have Panasonic Dect 6 phone but no one can hear me on it if I stand more than 3 feet away from my Xfinity router. I changed the telephone batteries. Do you know what could cause this? Comcast came out once and could not figure it out. George, I just checked my phone and it allows 50 directory entries. Marty, Evidently the action of programming the VM soft button instructs the phone to trigger the light to flash when there is a message. If you don't activate that button by programming it, the phone doesn't know you are using the phone companies voice mail. It's not the actual access number that has anything to do with it, just the fact that you programmed a number into the button. Yes, I did mean the VM soft button. I didn't bother to program it while I was testing the phone since I had always assigned VM access to a regular speed dial button, and was again reminded that there are no shortcuts. Marty, I'm glad I saved you from buying a phone you wouldn't be happy with. I'm also glad you finally found out that the light still flashes for voice mail as long as you program the access number. I assume you meant the VM soft button that appears on the screen when you have a message, as I talked about in this article. That's the one I used. I didn't use a speed dial button for voice mail since Panasonic provides that special VM soft key just for that purpose. Thanks for the info on your discovery Marty. I see my phone is no longer available, so I will update this article for the new one. First your model is no longer available. A few were listed on various sites - one as far away as India - but every place is sold out. I think it's one of those models that many people wish were still available. I was ready to buy one last night. Regarding my model, the KX-TG3645, it does have a light which will flash when a voice mail is received - but ONLY if the voicemail access phone number is programmed. If you use a speed-dial key to get your provider voice messages, the indicator will not flash. There's no reason not use the "Access" key, but you have to know to do it and this is written - not too obviously - in the "Answering system settings" section. After being told by several Panasonic tech support people that the flashing light feature is no longer available, I would have accepted that had I not seen your article. You saved me from buying a phone that I would not have been happy with. Thank you! Marty - I find it strange that Panasonic would eliminate such a useful feature. Please let me know what you find out. By the way, the same amber light stays on while it's charging. It flashes fast as it rings. And on my phone it blinks slowly when there is a voice mail message. As the manual says, this does require that your provider has message indication service. Thank you so much - again! "Voice mail is an automatic answering service offered by your service provider/ telephone company. ... Messages are recorded by your service provider/ telephone company, not your telephone. When you have new messages, "symbol" is displayed on the handset if message indication service is available." No mention of the light. Also, on Page 11, the light is described as the "Charge Indicator" and "Ring Indicator." I don't believe this phone is available anymore from Panasonic and Panasonic has "upgraded" the phone to NOT offer the flashing light VM indicator. I'm not sure why, but I contacted ATT, Vtech, and Panasonic - an no one offers this anymore! I'm replacing a Uniden phone which stopped working. It had this feature, which I fthink is very useful. I'll try to reach Panasonic again tomorrow or Friday at the latest to clear this up. I'll let you know what I find out. Marty Howard - Which manual are you looking at? I have the KX-TG6511 and I also use the voicemail from my service provider. I can assure you that the amber light flashes when there is a message in voicemail. Mine flashes in addition to the display saying "voicemail". I don't know about the KX-TG3645 since the one I have is the KX-TG6511. Please clarify something about the KX-TG6511. I have been looking for a phone with an indicator LIGHT that flashes when voice mail is received through the service provider - NOT the answering machine. According to the manual - and a Panasonic support person - voice mail from a service provider is indicated only by a message and symbol on the LCD screen - NOT with the flashing light. The light used to be standard with many phones - now I can't find one that his it. I just bought a KX-TG3645, which has the amber light - but the light flashes only when messages are recorded on the answering machine. Could you please verify this feature and the model number. UrbanwomanLB - It sounds like you're asking about sending your Caller-ID to the person you're calling. That is not a function of the phone. You may have disabled that feature with your phone service. 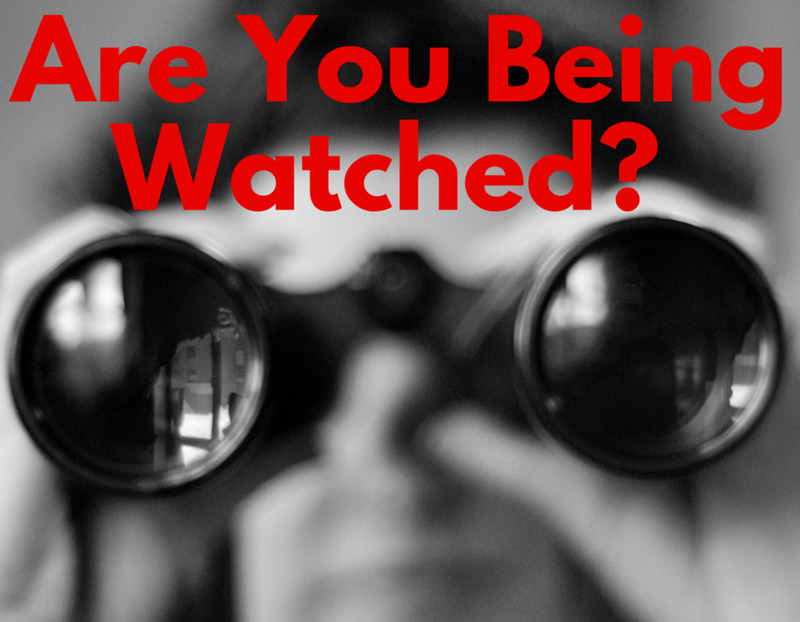 Check with your carrier to see if you have it set to privacy, and then enable it again. How do I get my User ID to show up when I call someone using this phone? It always showed up using my last phone. Steve331, The date and time get reset automatically when a call comes in. The phone company actually sends the time info with each call, so the phone gets the information that way. Then the battery keeps the time current if you don't have power. Since you always unplug the power, you have put more load on the batteries and this may have caused them to die prematurely. Rechargeable batteries don't last forever. The more often they are recycled from charge to dead to charge again, the sooner they will die. 1800 cycles sounds about right, which is five years. I had to replace mine once. 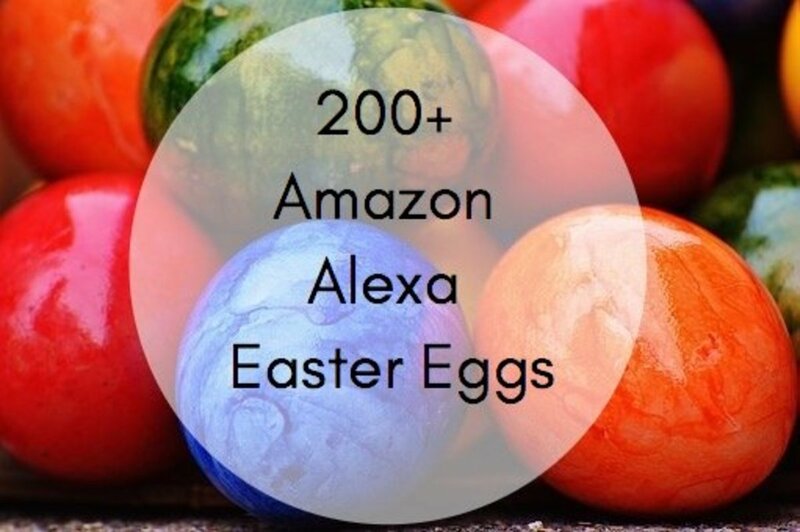 You can easily find the correct replacement at Best Buy or on Amazon. I've got the very same phone system that you have reviewed. The two phones have worked well the past 5 years. Last month, I noticed the screen on both phones was partially blank - the date and time information went missing. Both phones show as being fully charged. Every night, I disconnect my computer, TV and telephones from their electrical outlets. I've done that for many years due to the issue of potential electrical surges. As stated, as of last month, from the time I re-connect everything in the morning until bedtime, this loss-of-date-and-time issue persists. The only time when the date and time becomes "re-enabled" and is visible is when I receive an incoming call. They remain visible the entire day, but only after receiving an in-coming call. Do the rechargeable batteries need to be replaced? If they needed replacing, would the loss of the date and time information be one of the effects? brakel2 - I know what you mean Audrey. Before I discovered how well designed the Panasonic phones are, I also went crazy with some other brands. I even had one once (won't mention the brand) that needed to be charged often. It kept draining the battery. Panasonic came up with the brilliant solution with the automatic economy mode that I mentioned - when close enough to the base it reduces its power, saving battery life. MsDora - I dealt with that nuisance of programming each handset individually with an older phone system be another manufacturer. Then I discovered that Panasonic did it better by storing the programming in the base so each handset is always in sync. RonElFran - Yes indeed! The intercom feature is very useful when you have several handsets on a single base. It goes to show that Panasonic includes great phone features. Jodah - I used to use an answering machine before deciding to use voice mail instead. Whatever works best for you is what's important. All Panasonic's phones are well designed, as you have noticed. Thanks for this review. I have a system that does almost everything you describe but (1) it does not have the message indicator and (2) handsets have to be programmed individually. The Panasonic is really a cut above the rest. Thanks for letting us know. Glenn, this helps me know what to look for next time we buy a phone. I particularly like the intercom feature. I think all phones should make provision for that, instead of making people call from their cell phone to their home phone just to talk to someone in the same house. Hi Glenn, very good hub explaining the features and benefits of the Panasonic cordless phone. I have the KX-TGE223B DECT 6.0 and although it doesn't quite have all the features of the one you review it is a great and competitively priced phone. This version has the inbuilt answering machine and personally I like it better than the Voicemail from my provider. All in all though they are a great brand of cordless phone.